We live in an interesting time when it comes to space travel. The space race and big government spending of the Cold War are long gone. But as space agencies have embraced new technologies, as well as private companies, humankind has found new ways to innovate. And by humankind, we all know I'm mostly talking about Elon Musk. 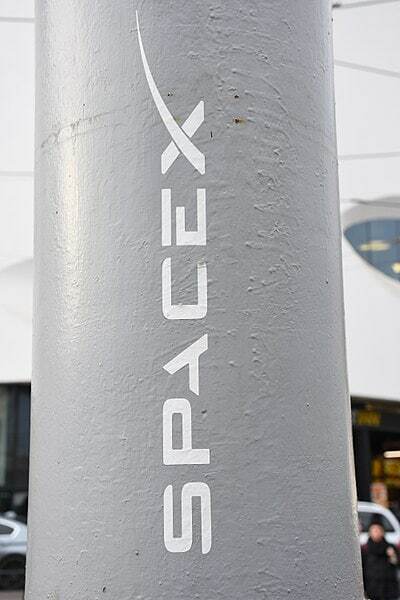 Elon Musk's private company, SpaceX, is a leader in this field. With deep pockets and clever scientists, SpaceX technology has set the bar for private-public partnerships. Their biggest technological breakthrough has been pioneering the use of reusable rockets, cutting down costs significantly. SpaceX runs a pretty busy schedule. Outside of the winter months when weather makes launches dicey, SpaceX typically launches a couple of missions into space every month. Typically these launches are either satellites or resupply missions to the International Space Station. Their latest mission, CRS-14, blasted off this week. At about 1:30 p.m. Pacific time, a Falcon 9 rocket carried a payload containing a Dragon spacecraft into orbit to rendezvous with the ISS. Unlike some launches, the rocket was not recovered after launch. CRS-14 contains some pretty interesting technology. In addition to vital supplies for the astronauts on the ISS, the mission is full of cool experimental stuff — including a potential solution to one of space exploration's biggest problems, the issue of space junk. In all, the rocket is carrying more than 5,800 pounds of equipment in its payload. It includes the materials to conduct more than 250 experiments for the astronauts in orbit. Some of the payload is related to weather. The Atmosphere-Space Interactions Monitor (ASIM) is designed to give scientists insights into thunderstorms, particularly the massive storms that are brewing in our upper atmosphere. They're also exploring new ways to grow food in space. Growing plants in space is a tricky undertaking, and scientists on the ISS are experimenting with custom-made fertilizer pellets to make the process easier. The most interesting development, however, deals with space junk. The amount of out-of-use satellites and miscellaneous junk orbiting Earth is crazy. Considering how fast these particles travel in orbit, the risk to spacecraft is significant. CRS-14 is experimenting with a "space harpoon." Officially named the RemoveDEBRIS spacecraft, it's a small satellite that shoots a net into open space in an attempt to capture wayward debris. It really does function just like a harpoon. There's a lot of junk to collect. With nearly 20,000 big items in orbit and hundreds of millions of pieces of smaller debris, it's safe to say that we've got a pretty big problem. It's just an experimental unit for now. To figure out if it's viable, the spacecraft will fire its net at a small satellite, hopefully ensnaring it and pulling it out of orbit. It's great to see these technological advances. Nearly every SpaceX mission not only resupplies astronauts in space, it also adds new wrinkles that help advance our understanding and improve safety in space.